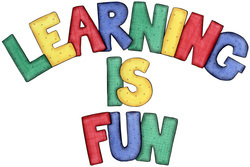 To view any of the Alberta Program of Studies Early Childhood Education Curriculums please click the links (highlighted in green) - this will take you directly to the curriculums through the Alberta Education website. Early childhood is a significant period in human development. Independence, initiative, decision making, creativity, the ability to learn, the ability to relate to others and feelings of self-worth all have their beginnings in early childhood. What young children learn at this stage will have a major impact on their successful learning experiences in school, on their personal development and on their future participation in society. arrive in school from diverse backgrounds and with a variety of experiences and make the significant transition from the home to the school environment. engage students in rich learning experiences in which they develop understandings that both relate to and make connections across specific subject areas. - Excerpt taken from the Alberta Education website. To view the whole document click here.